RA Castaldo , is a creative soul and born artist . He writes his own music , poetry and is a lifelong martial artist and coach. Ra is a hereditary Dream seer , and his family line has been called the Benandanti. He does oracle psychic readings, dream interpretation and helps others activate their dormant dna and true abiliites. He can also be considered an expert on Etruscan occult history. Raised in the old ways as a hereditary strega and shaman, his lineage has been protecting ancient secrets regarding the sacred lake nemi in Italy for thousands of years. He is a gifted intuitive ,and has been communicating with other planes of existence since his near death experience at the age of 9 . Since this awakening in 1987, Ra, has reactivated dormant particles inside his DNA and has found access to our planet’s holographic library or akashic records. Since birth he has been hunted down for his abilites and family genetics/bloodline and is ready to discuss his paranormal journey and the secrets his lineage have been protecting. Join Ra every Friday night at 8pm est on his show Spiral radio and saturdays at 7 pm on his show Eye of Ra as he brings us down the mystical spiral of life. 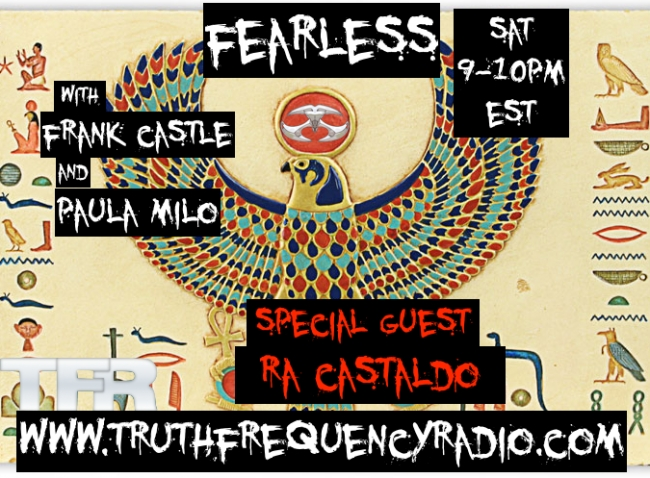 Ra’s website is themysticalspiral.com and his youtube is exploring the ka with host RA Castaldo. Set Your Intentions, and Tune in Live…! Change your Frequency and Tune into Ours …. Your Protection From Deception ..!